Computed tomography (CT) imaging is one of the most technologically advanced radiological innovations to aid in the diagnosis and treatment of internal diseases. CT Scanning delivers cross-sectional images of the body, allowing better visualization of specific soft tissue regions which could not otherwise be seen satisfactorily. 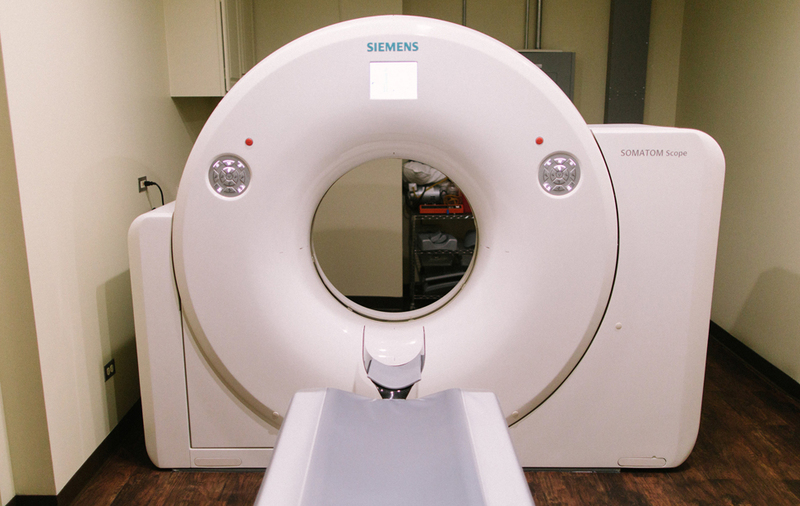 CT Scanning is instrumental in making an accurate diagnosis in patients with sinus disease, and is an invaluable 3-dimensional intra-operative tool used for patients requiring sinus surgery. We also offer 3-dimensional imaging assistance to dental professionals achieving precise dental implant placement. How much radiation am I exposed to during the CT Scan? 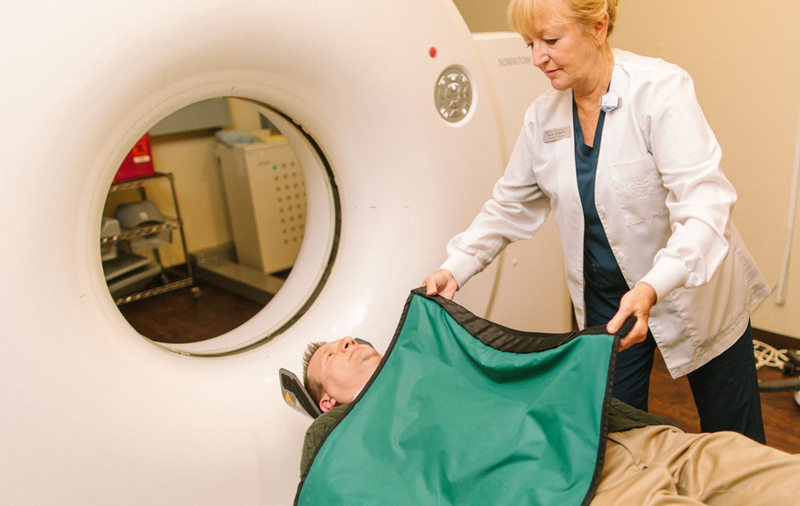 Our equipment is very new and uses Dose4D to deliver fully-automated, organ-sensitive real-time doses of radiation. Filtering technology and protective shields are also used to protect non-scanned portions of your body from radiation. Dr. Girgis is not my doctor, can I still have my CT Scan performed here? 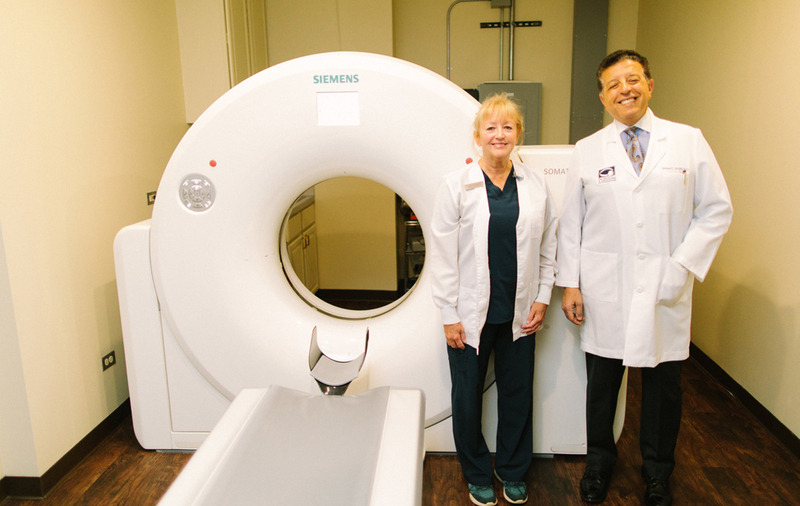 Yes, our Hinsdale location is extremely convenient for patients of hundreds of area doctors and dentists that may not have a CT Scanner in their office. Your doctor can write you an order or prescription and we can get a pre-authorization from your insurance company. The ordering doctor's office needs to do the precertification for the scan as they have all the patient background and information along with the ICD-10 codes for the reason for the scan. Can you do dental CT scans? Yes, we have the Dental Scan Protocol w/ 3D technology for the maxilla and/or mandible. Our scans more easily detect the V-3 nerve position before wisdom teeth extraction or to visualize impacted teeth or molars and their relationship to surrounding structures. The ordering doctor's office needs to do the precertification for the scan as they have all the patient background and information along with the ICD-10 codes for the reason for the scan. What is the SimPlant® dental implant program? The Simplant Guide forms the link between the digital treatment plan in Simplant and the surgery. Precise planning and implant placement enables minimal invasive treatment, as well as reduced chair time. Moreover, it gives confidence to both clinician and patient and it brings surgery and restoration to a new level: The patient can be treated in one single treatment session and leave with an expertly planned temporary restoration. Simplant solutions are cost-effective, user-friendly and uniquely compatible with the brands and equipment that clinicians already know and use. Simplant computer guided implant treatment is compatible with over 10,000 implants from more than 100 brands, as well as all DICOM compatible (CB) CT scanners and major optical and intraoral scanners. Our full range of services include the medical and surgical treatment of problems of the ear, nose, throat, sinus, head, neck, thyroid and facial aesthetics. 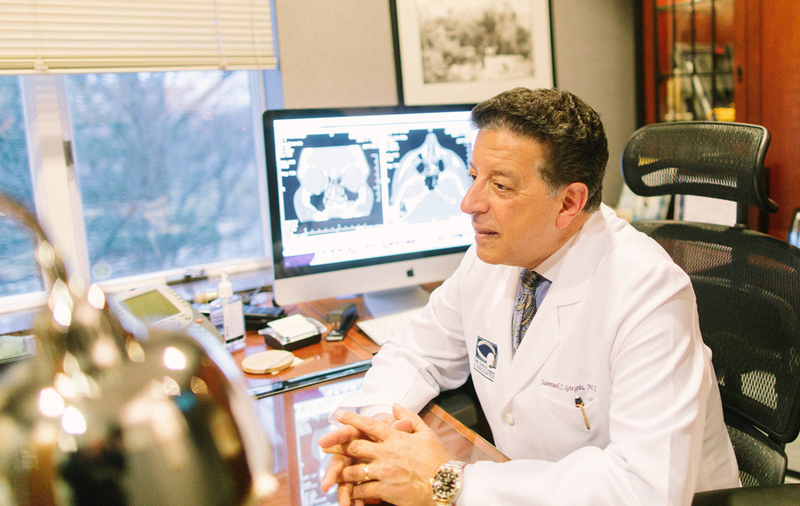 We provide state-of-the-art audiologic evaluations, hearing aid devices, CT scan imagery, diagnostic and therapeutic sleep studies.